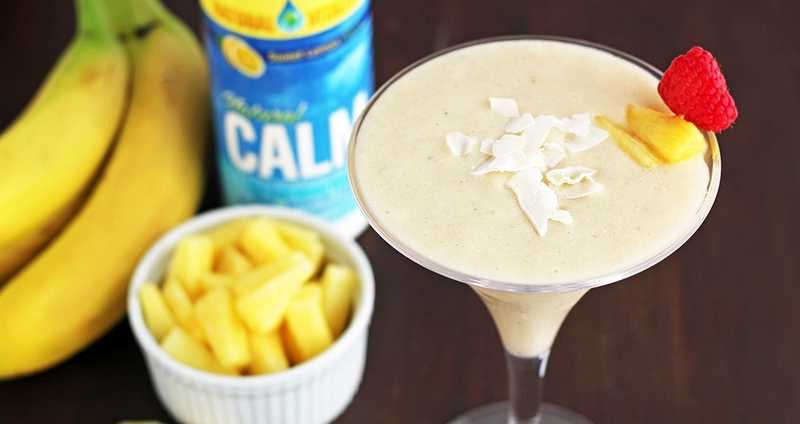 What better way to relax than with this Calming Piña Colada Smoothie? Not only is this smoothie delicious, but it’s loaded with health benefits! Magnesium can relieve muscle aches, help you to sleep better and decrease anxiety; while pineapple is loaded with anti-inflammatory properties, and bananas contain powerful antioxidants.